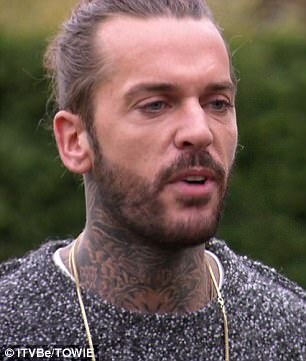 They confirmed that they had reconciled in July, after their turbulent relationship was seen coming to a crashing halt at the end of TOWIE's last season. 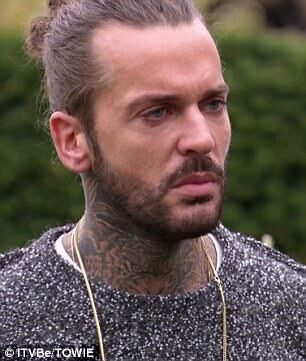 And it has now been reported that Megan McKenna and Pete Wicks have split once again, following a series of blazing rows that proved to be too much for the couple. 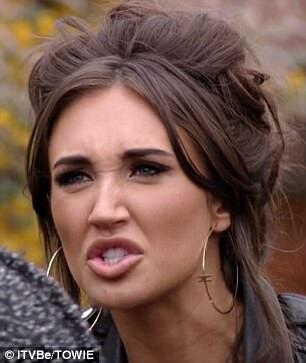 Split: Megan McKenna and her boyfriend have reportedly split after a series of blazing rows. MailOnline has approached representatives for Megan and Pete for comment. Megan, 24, and Pete, 28, have been locked in a convoluted love story since she entered the structured reality programme in March last year, with their dramas captivating viewers following many bumps in the road. 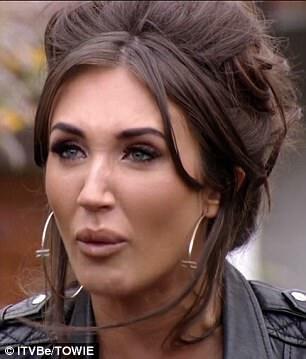 And during an appearance on ITV's Loose Women last month, Megan admitted that she was worried about their romance coming undone due to being in the public eye. She said: 'We had a nasty break up but I'm really happy with how we are. That break apart was the best thing that could have happened. 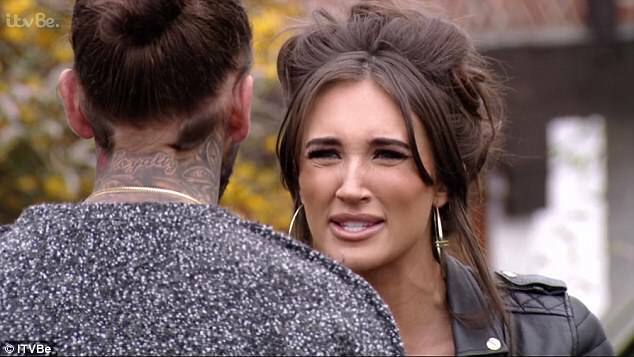 Megan McKenna and Pete Wicks have an explosive row on TOWI. After a series of make-ups and break-ups the duo headed to Las Vegas to iron out the creases in their romance in June, yet Chloe Sims, who was previously embroiled in their woes amid infidelity claims, had some choice words over their reunion. Teary: The curtains were surely twitching as the couple screamed at one another about the drama going on between them. In the same interview, which was published at the end of August, Megan even stated that she was adamant she would wed tattooed hunk Pete in what she will fashion as a 'royal wedding'. 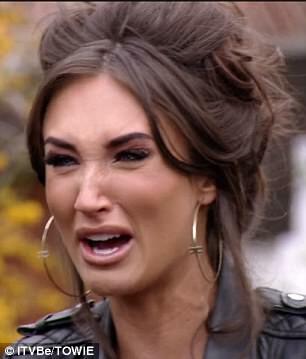 It's my barny and I'll cry if I want to: Megan's fury soon gave way to tears as her emotions got the better of her. While her personal life sees much turmoil, Megan is enjoying unexpected success in the musical arena, after her debut country single - entitled High Heeled Shoes - knocked Taylor Swift off the top of the iTunes charts last month. She even branched out from TOWIE to shoot her own related reality show There's Something About Megan, which detailed her journey to Nashville, Tennessee, where she recorded her chart-topping single. And while she is on the cusp of enjoying even further success with her new career turn, Megan did admit to MailOnline that her split from Pete inspired much of work. 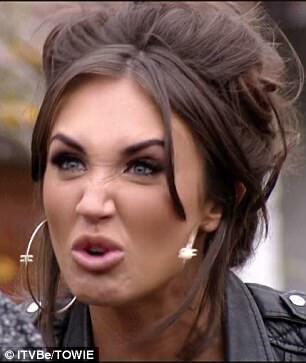 Row: However, Megan said that she was constantly there for her man - with little appreciation. Discussing what she meant by explaining herself, Megan admitted that she wanted to reveal her side of the story when going through her break up with Pete. Megan and Pete confirmed they were back together in July, following months apart after it was revealed that Peter had been caught sending sexually explicit text messages to model ex Jacqui Ryland - while he was on holiday with Megan. Country princess: Megan is beginning to carve out her career as a country music singer. Back and forth: The pair's tumultuous pairing has seen them split and reconcile on their show. 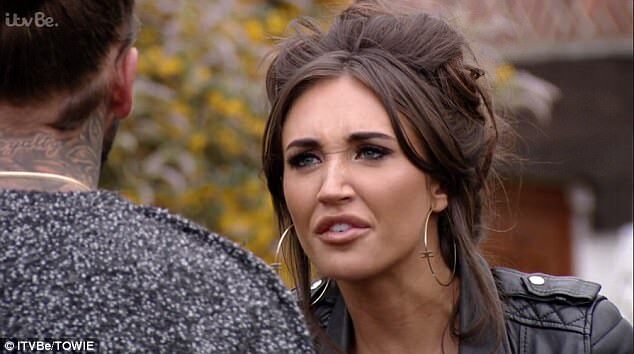 Megan McKenna gets a proposal in Vegas - but not from Pete Wicks!